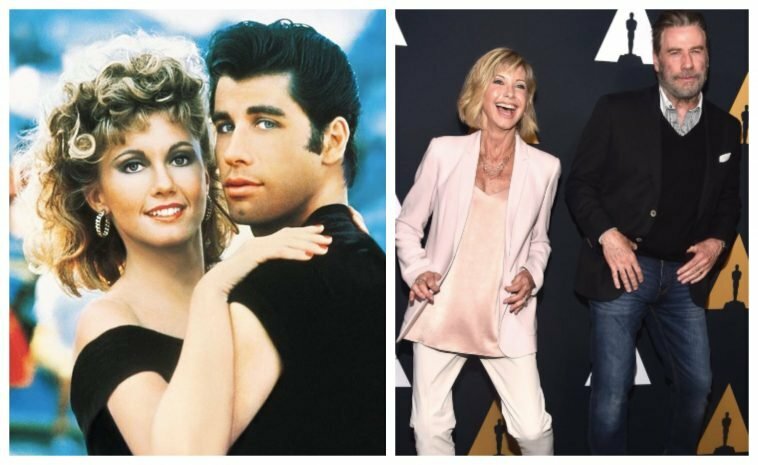 The iconic musical pairing of John Travolta and Olivia Newton-John were seen together at the screening of Grease at the Samuel Goldwyn Theater in Beverly Hills for the 40th anniversary of the film’s release. You could tell that everyone from the cast was in great spirits and happy to be a part of the celebration. Many news networks, such as Variety, were there to interview the stars and talk about the movie with them. Travolta, Newton-John, and even Didi Conn (Frenchie) chimed in about what their first day of being on set was like among many other juicy details about the movie. They even danced a little, too! 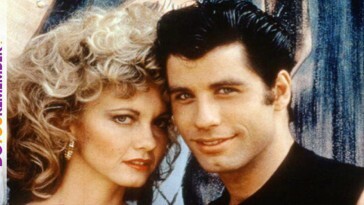 Grease starred Olivia Newton-John, who played goodie two-shoes Sandy, and John Travolta, who played the bad-boy, cool kid, Danny. The two meet while on their own individual vacations with family and assume they’re never going to see each other again. That is until Sandy transfers to Danny’s school and things begin to heat up. Sandy realizes that Danny is basically a jerk who just wants to impress his jerk friends by being a jerk. Did we mention he’s a jerk? Despite all the obvious 1950s high schooler obstacles the two face, they end up together in the end. We’re sure you’re all wondering what the juicy gossip is. Well, according to Conn who originally spilled the beans, there was an alternate ending to the film that featured a big kiss between the pair, as the majestic red car flies off into the sky. Travolta claimed that he doesn’t think he ever saw that alternate footage, and Newton-John says she doesn’t even remember it! 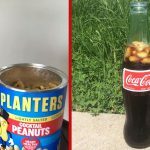 This footage is specially featured on the 40th-anniversary re-release. 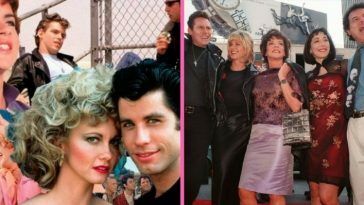 According to Reuters, there was also a sequel to Grease with the original cast that was supposed to come out shortly after the first film, but it fell through. The setting was supposed to be centered around summer school. Travolta noted that they all have ideas in their head for a reunion sequel with the original cast, but nothing has been confirmed as of right now. But we’re certainly hoping! 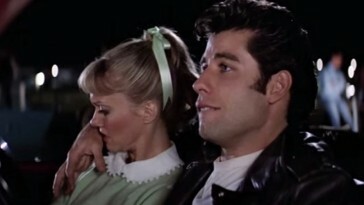 Be sure to SHARE this article if you remember and love Grease!